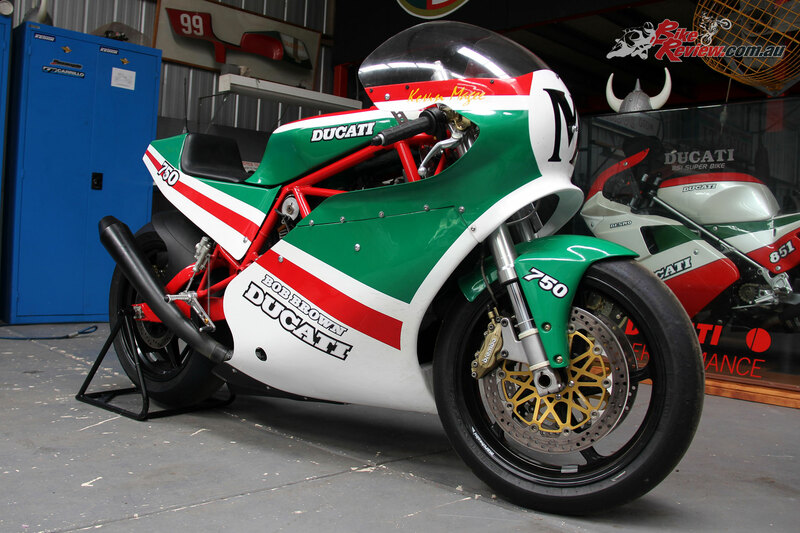 The bike you are looking at is more than just another modernised replica of an iconic racer. 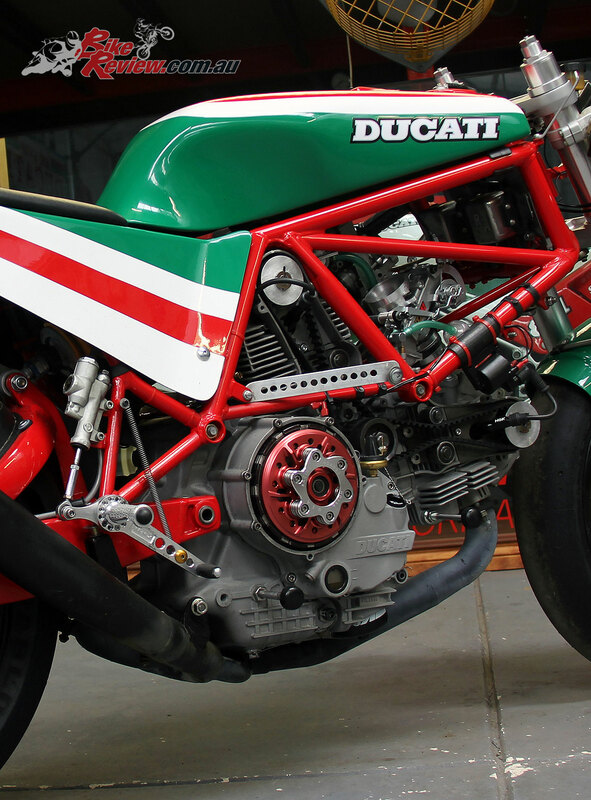 This bike is hand built by the same iconic builder, to be ridden by the same iconic rider as the original. 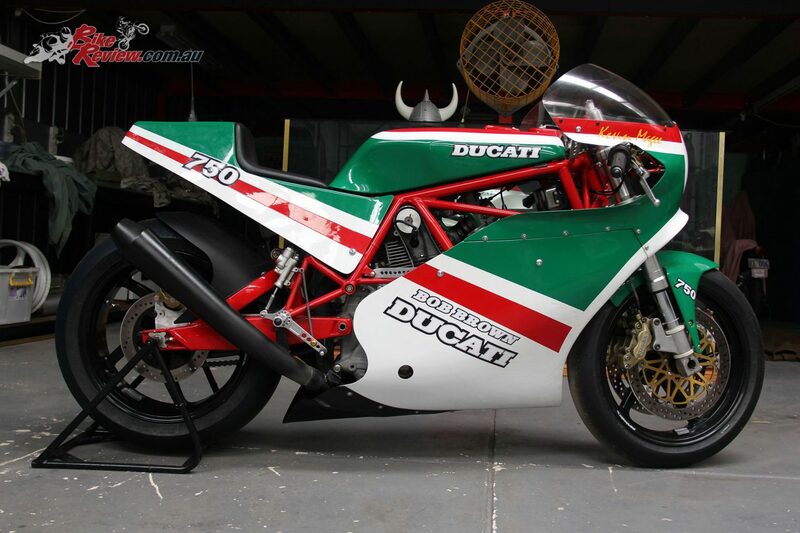 The bike might be new, but the team are bloody ancient! Same blokes, less hair. 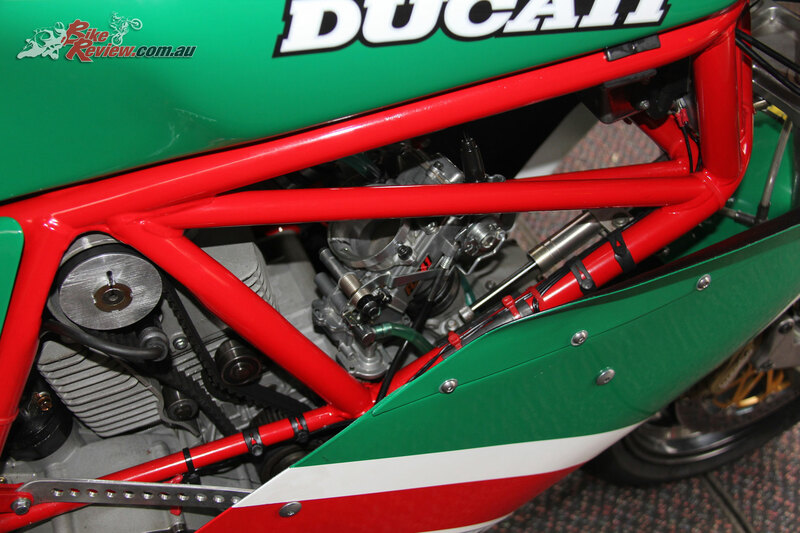 The original Bob Brown Ducati TT2 was crated up in Spain and shipped to Bob’s workshop in Riddells Creek, Victoria, to be prepared for the meeting. 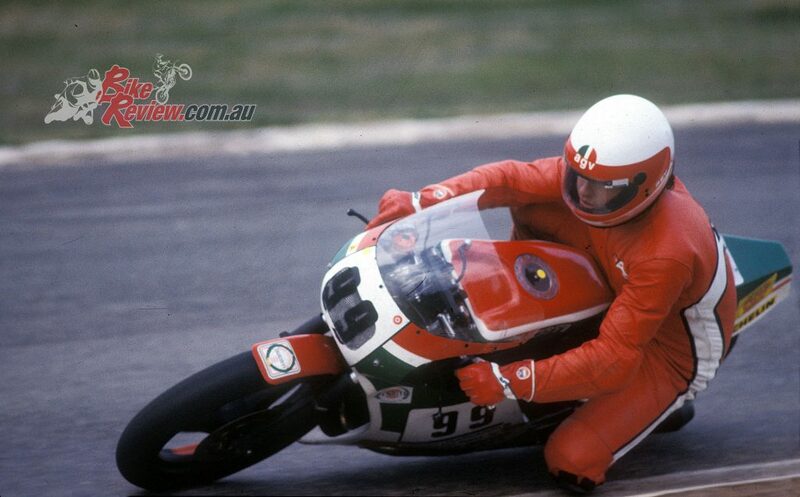 Kev on the original Bob Brown Ducati back in the early 1980s. 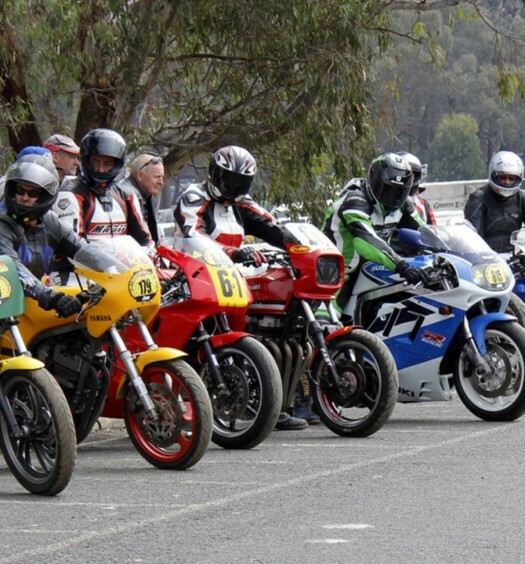 After giving the bike a good go over to prepare for the meeting, the guys headed to Broadford where Kev eagerly geared up ready to ride the bike that helped pave his career (see breakout for the full history). “I was really annoyed when I noticed that my #1 race engine had been replaced for the one I had sent to Cathcart in the Tingate alloy eight-valve machine,” explains Bob. Kevin Magee, Broadford, Graeme Brooker TT2. Kev on the original era Graeme Brooker owned TT2, built from original era spares from the early 1980s. 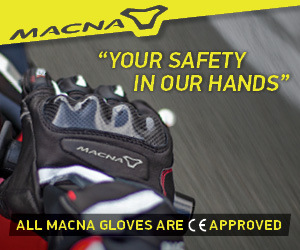 Magee needed more grip, modern running gear, but there was no point modernising the Brooker TT2, as it would no longer be ridgy didge… Brooker and his wife Poppy were having dinner with Bob not long after, when Graeme stated that they would just have to build a bike from scratch for Kev to ride. “I was sort of listening and did not even lift my head from the meal I was enjoying. I just mumbled, ‘I’m in’,” explains Bob. 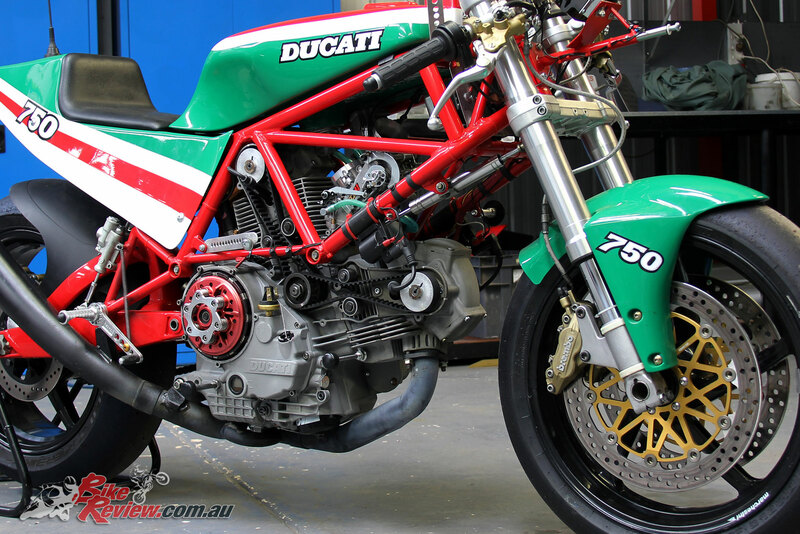 The build commenced in May 2016 and was completed 11-months later with a successful dyno run in the immaculate workshop of T-Rex Racing in Heidelberg, Victoria. 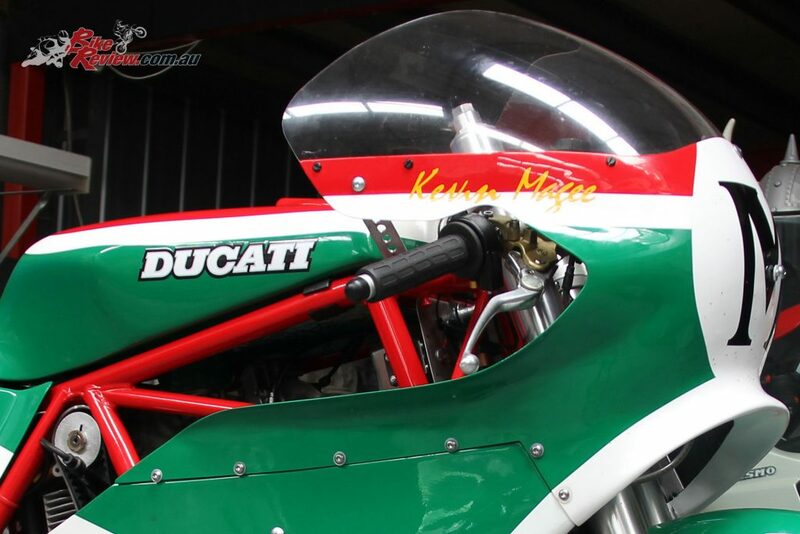 The frame was purchased from Europe and is a steel TT2 replica, which came with a fibreglass fuel tank, rearsets and handlebars. Once the frame was chosen and arrived, Bob got to work on sourcing a donor bike to bring the frame to life. 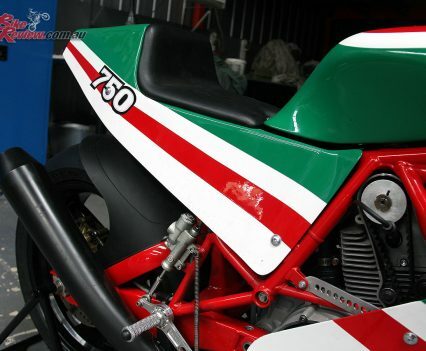 The chosen machine was a 2006 Ducati DS1000 SuperSport. 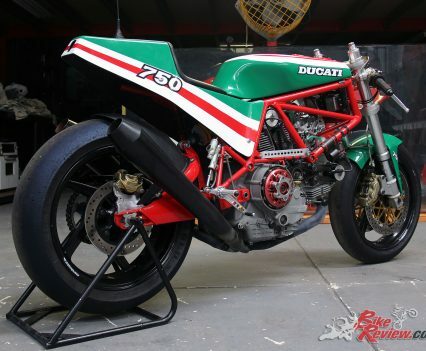 The frame was heavily modified first, with extra bracing and gusseting, then the frame was coated in Ducati Red and the running gear was transferred over. 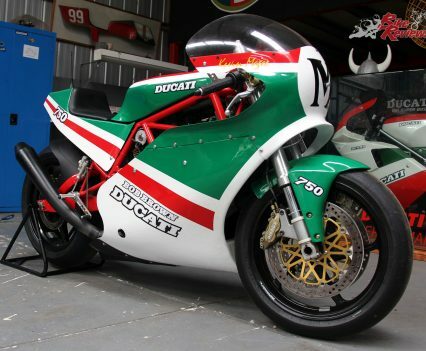 The MY17 Bob Brown TT2 SuperSport fairings came from an original mold of an early 1980s Bob Brown TT2 bike built for Daytona. 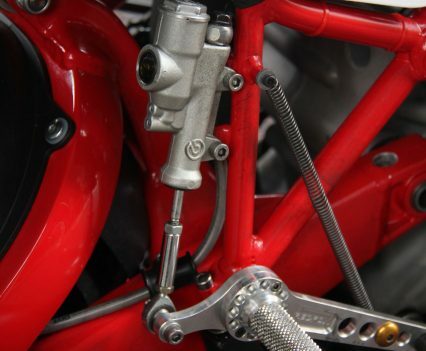 The Showa 43mm forks, cast alloy triple-clamps and Brembo four-piston calipers went up front, with the forks re-sprung and re-valved to suit. 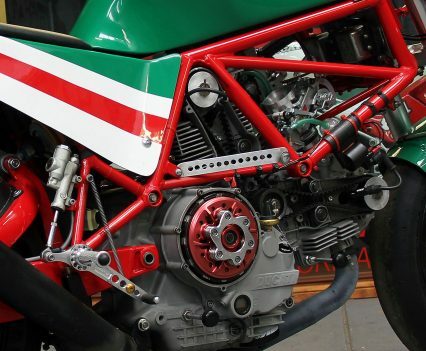 RedFox ‘bars were fitted along with Brembo master-cylinders for the brake and clutch, and a Marchesini front wheel went in, wearing Brembo 320mm rotors and a Pirelli SC1 racing slick. 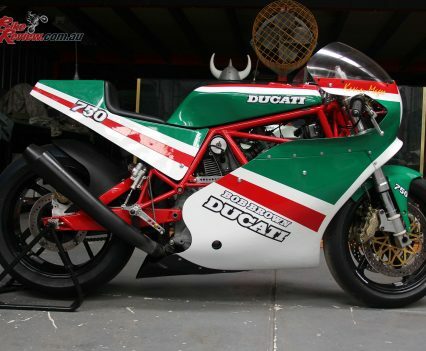 There is no arguing that the bike looks sensational and a nicely done old versus new creation. At the back of the bike, a steel modified SuperSport swingarm was fitted along with a custom linkage, and an Ohlins shock went in, which was a lot of work, and the shock mount had to be refabricated to accommodate the Ohlins and the swingarm. A Marchesini 17in lightweight wheel was slotted in once the swingarm was painted up, again wearing a Pirelli slick tyre. 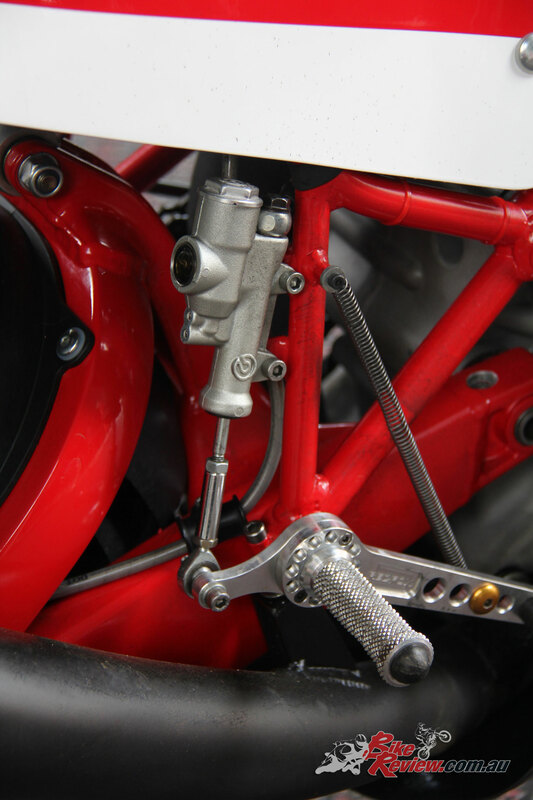 Rearsets are billet CNC machined RedFox items and the rear brake caliper is a two-piston Brembo, while the rotor is a fixed stainless steel item. With the rolling chassis sorted, Bob turned his expertise to the engine. “I didn’t want to do too much to the engine for the first year, as I was uncertain about the frame and how it would handle the grip of the modern slicks,” he explained. 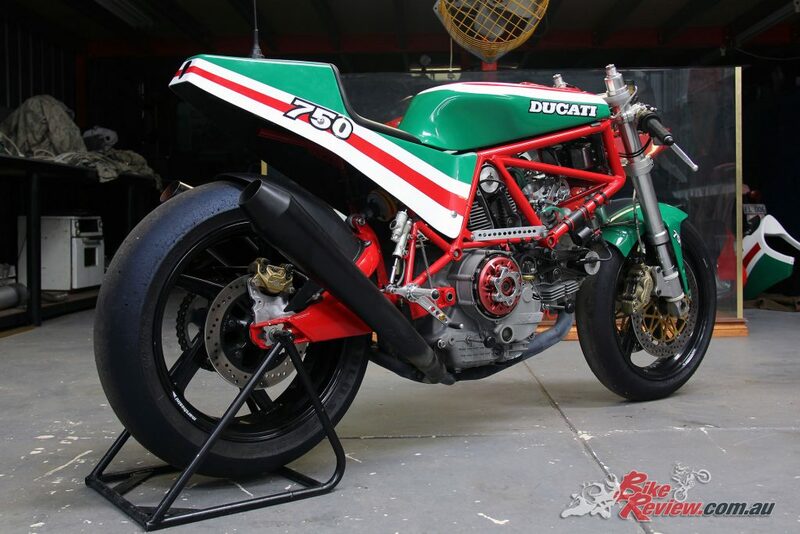 Showa forks, Marchesini wheels, Brembo brakes, DS1000 engine meets old school TT2. Bob of course went over the engine and gave it a mild warming over, with a set of NCR camshafts and a HDESA USA clutch pressure plate, along with a tasty pair of 41mm Keihin FCR carburettors with accelerator pumps. The exhaust system is a custom one-off by MegaCycle. The crankcases were strengthened as well. The cases were bead blasted and some neat billet covers added. 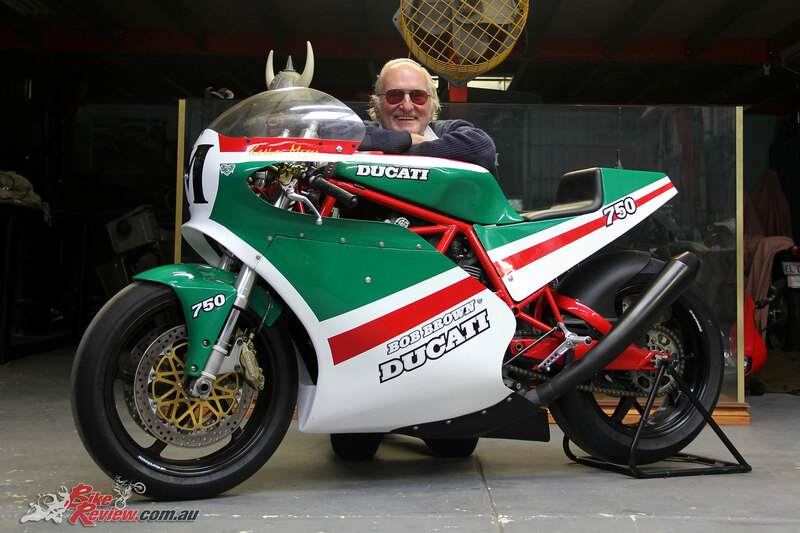 Magee says riding the bike is like riding a four-stroke V-twin version of a modernised TZ350! I’m sure you will agree that the finished product is mind blowing. The MY17 Bob Brown TT2 is an instantly recognisable modern classic and has to be one of the most nicely balanced blends of new meets old we’ve laid eyes on, and the colours are perfection. 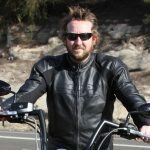 So how does Kevin Magee rate the bike? Magee lapping Broadford at the 2017 Broadford Bike Bonanza. He was impressed by the bike. Ben Henry had a spin on the bike over the weekend also and he raved about it. 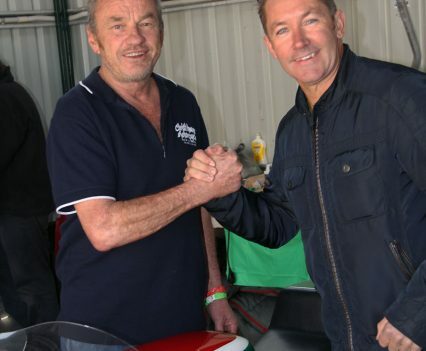 Even Troy Bayliss was drooling over the bike and asked Bob to make him one. Bob said no way! 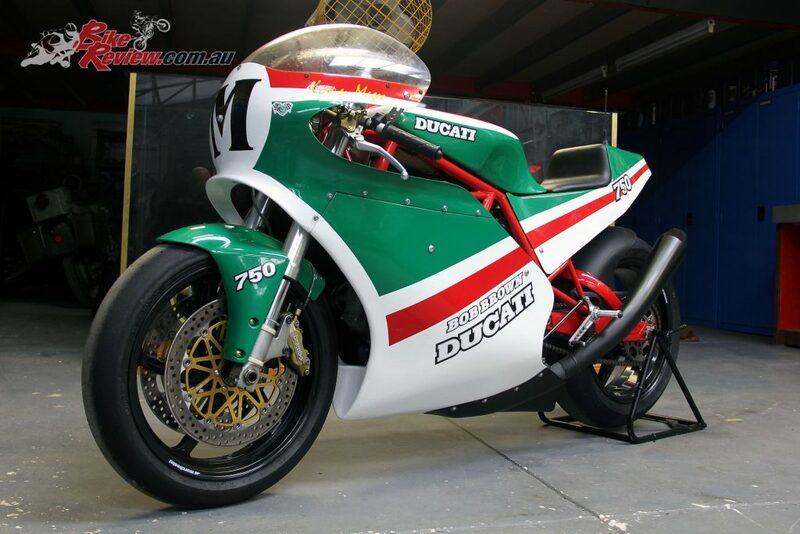 So what is next for the MY17 Bob Brown TT2? 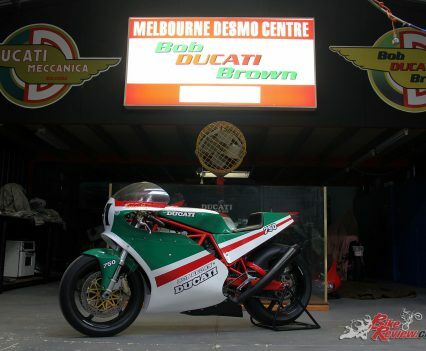 Is this the start of a new chapter of Bob Brown Ducati Racing? 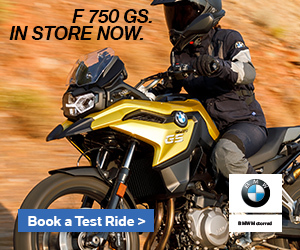 We can only dream… But it’d be great to see a few customer versions of this bike roll out the door. Another dream! 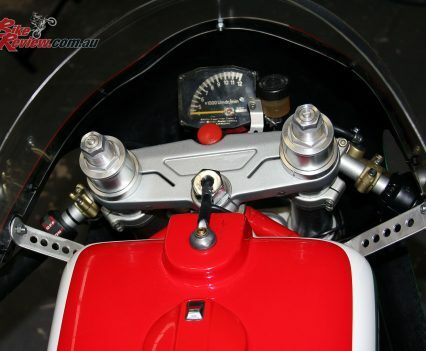 Engine: Desmodromic dual-spark air-cooled two-valve belt cam drive 90º L-twin four-stroke, 94 x 71.5mm bore x stroke, 10.5:1 compression, NCR camshafts, dry multi-plate clutch, six-speed gearbox 1st: 2.466, 1.764, 1.350, 1.091, o.958, 6th 0.857, Krober ignition, 41mm Keihin FCR carburettors, MegaCycle exhaust system. 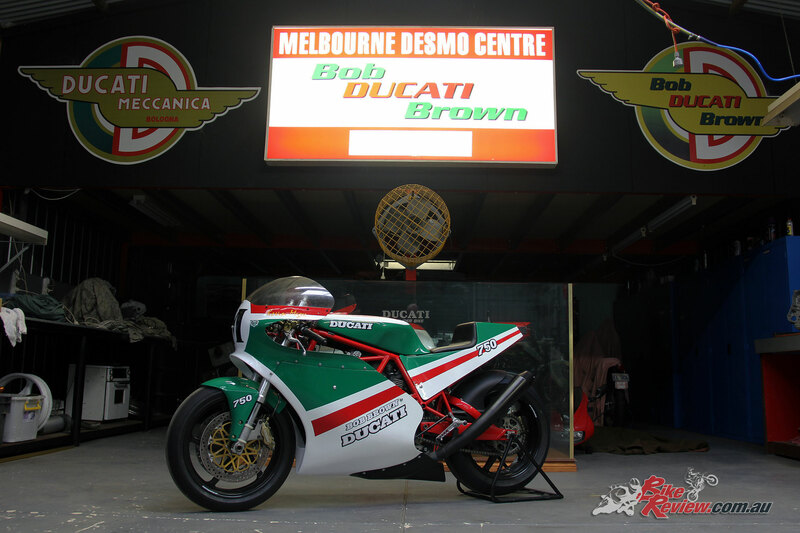 The Original Bob Brown Ducati Story! 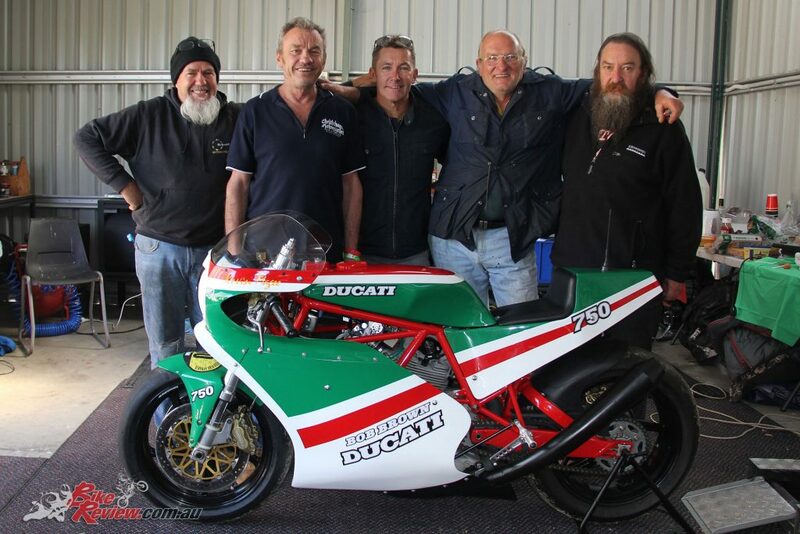 Magee went on that weekend to take the LC series and also race the Bob Brown Ducati, winning both races from Peter Muir at the Swann Series at Sandown. It was the start of an incredible decade for Kevin Magee, and the biggest turning point in his racing career. 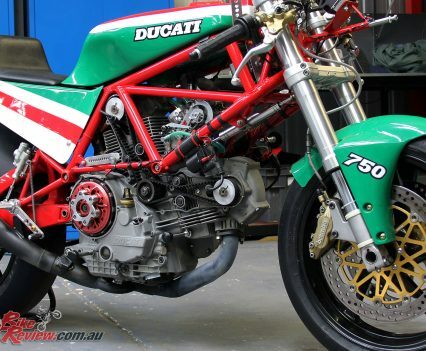 The bike was a Ducati Pantah that started life as a wreck. 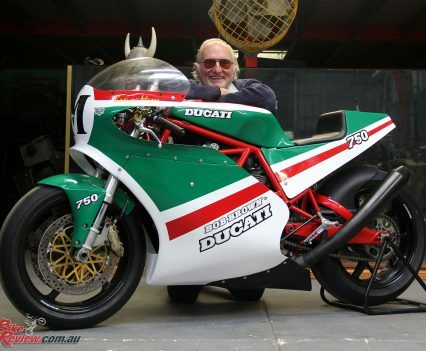 Bob had rebuilt it and, as Magee points out, “Had turned it into a superbike and ‘Bob Browned’ it.” Magee took to the bike like it was built for him. Kevin tested the bike and was immediately on the pace. 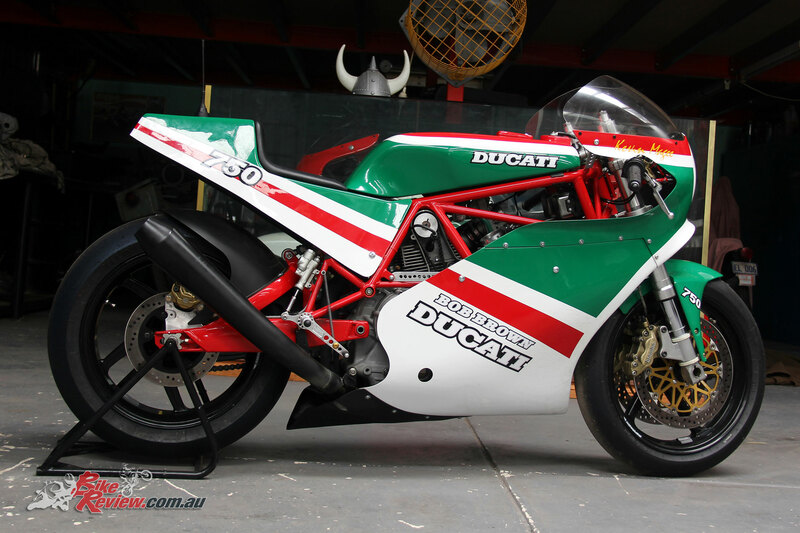 In his first meeting on the Ducati, Magee won both Thunderbike races from Peter Muir. It was an astonishing result. The 1983 season was a huge success for the duo. 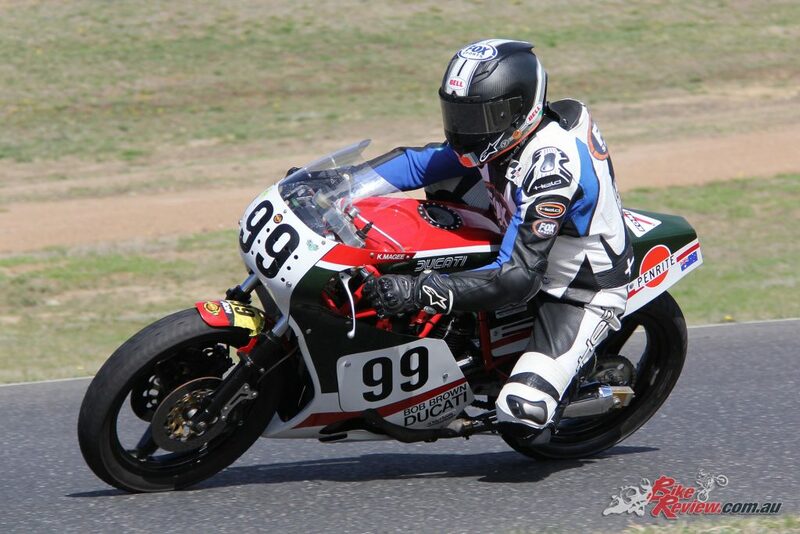 Kevin won the Victorian Thunderbike Series and the NSW Formula European Championship, a series that he won all but one race in, and that was because he snapped a drive chain off the start! 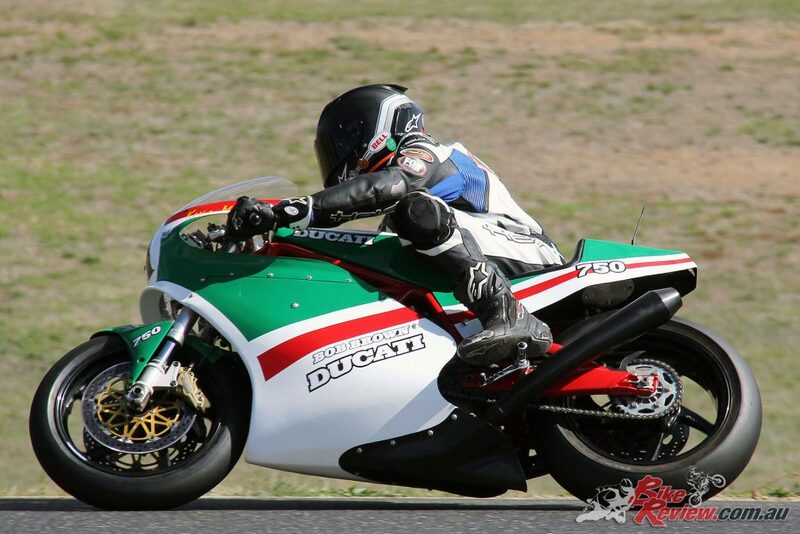 “We also raced in the Eastern State rounds of the Australian Superbike Championships,” adds Kevin, “Plus the Mallala round, where I set a new outright lap record. I won the Tom Phillis Memorial meeting at Winton also. 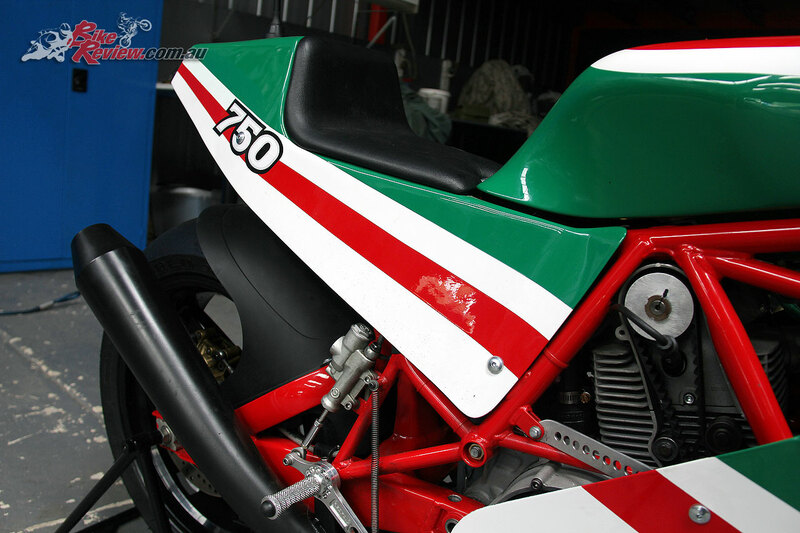 The essential element of 1983 was racing against the factory teams on the 680 Pantah. They were on 1000cc and 1100cc superbikes and Magee was really giving them some curry. That year he scored a third in one race against the factory boys and finished the championship fifth against the likes of Rob Phillis, Wally Campbell and Andrew Johnston. “It was a good learning year for me,” says Magee, “Because I was finding out that I was pretty fast and getting faster against guys who I thought would hose me… We also did the Swann Series at the end of the year and I did well in that. “All I wanted to do that year was race against the likes of Wally, AJ and Phillis. 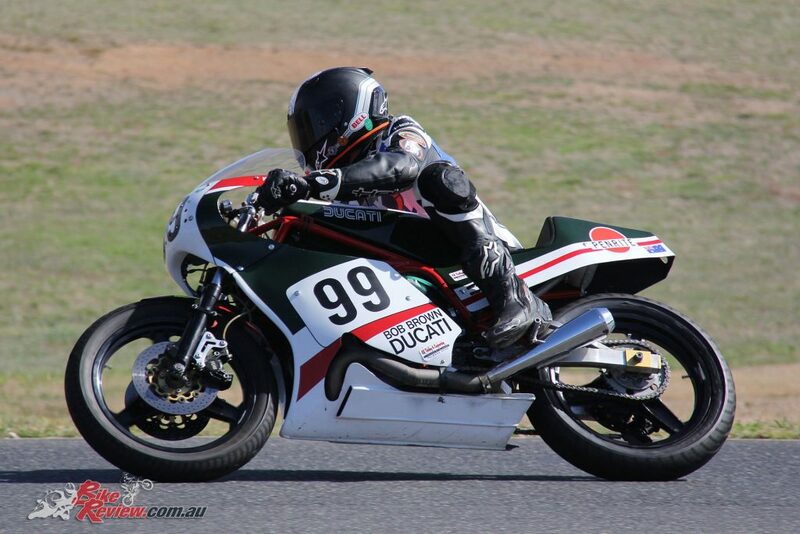 Early in the year I raced the TTF2 Ducati for the first time. It was like a real GP bike. 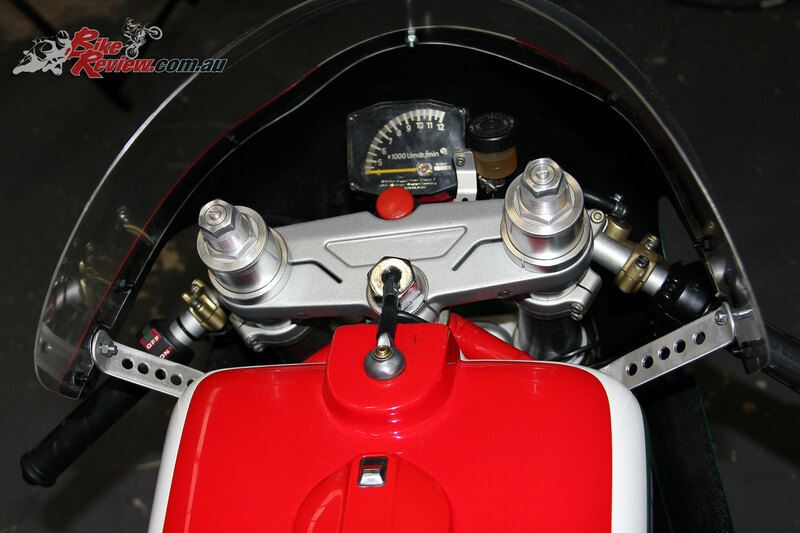 I raced 500 – 1000cc. I was chasing down AJ, who was riding the factory Honda V4 860 and had a big lead over third place. There had been a sidecar blow up in the race before on the back straight, leaving oil everywhere. Five laps in I tipped it into the right-hander through the cement dust. The front tyre hit the curb and I went down, catching my right pinkie between the ‘bar and the road. Now it’s permanently bent and I almost lost it. That crash put me out for six weeks”. The next race was at Mallala. Bob Brown was on his way to Horsham to pick Magee up for the trip to SA. Meanwhile, Kevin was mucking around with a mate on a three-wheeler up in the back paddock of his family property. They were two-up, and Magee over stepped the mark and highsided. In the Australian Superbike Championships, Magee was really starting to get under the factory team’s skin. 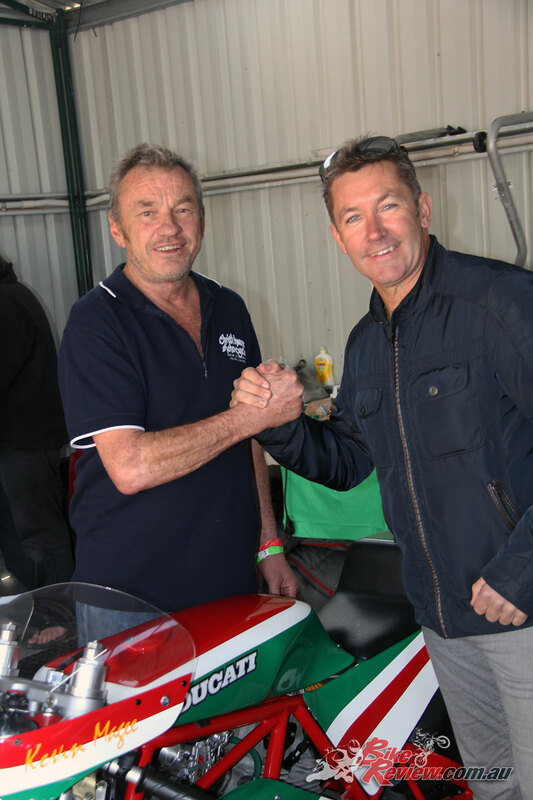 At Winton, he broke the lap record in the morning warm up – by half a second! Yamaha announced the RZ National Invitation Series, plus all States had their own RZ Series. Bob bought a bike for Kevin to ride in the State Series, while the RZ National Invitation Series bikes were supplied. You simply turned up, dug the key out of a hat and raced your lucky bike. The winner of the series was to go on and race in the finals in Holland. 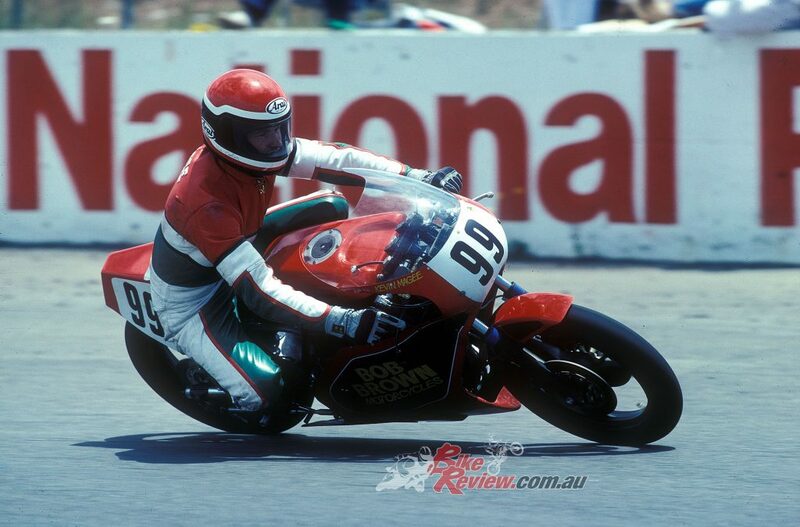 In July Magee went to Japan for the first time, to compete in the Suzuka 8 hour with Rob Phillis on a Moriwaki CBX750. It was one week before the final round of the RZ National Invitation Series. In the second session Magee highsided on some oil and broke his scaphoid. He didn’t go to a doctor, but knew something was broken… Amazingly, Magee finished the race and he and Phillis crossed the line in ninth position! Magee travelled home to compete at Oran Park, finishing third and winning the title. The Surfer’s Paradise Three Hour was coming up, so Magee went to the doc and got his wrist put in a splint (not plaster!). In a gut-wrenching decision, he handed his trip to Holland for the world final to the RZ National Invitation Series runner up in the series… Opting to heal up for the Three Hour, which he competed in. He also went on to finish third overall in a wet Castrol Six Hour, and second in the 750 class. 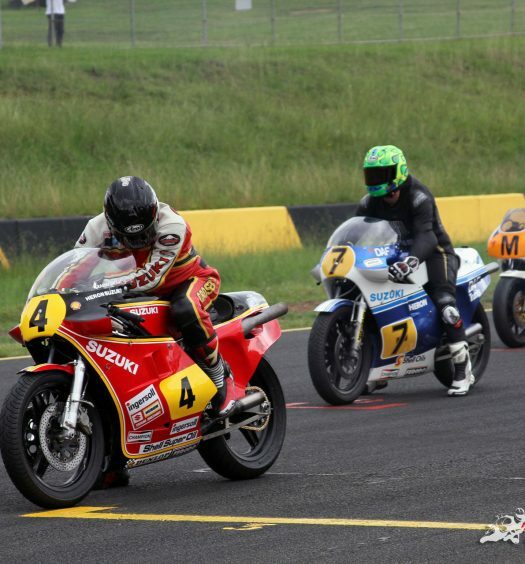 Late in the year Magee competed in the Swann Series on Trevor Flood’s awesome TZ750, finishing in the top 10 of the championship and having an impressive race at Surfer’s with then GP star, South African Dave Peterson. Bob Brown was in business for over 45-years in the bike industry. The SuperSport swingarm was heavily modified to fit the TT2 frame. 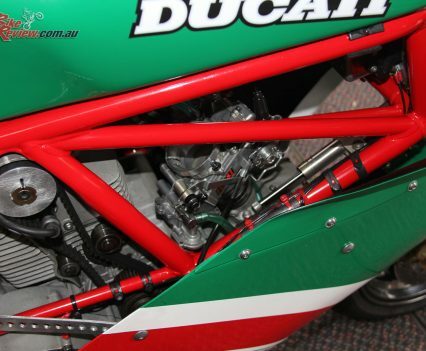 The DS1000 engine is relatively standard but Bob has plans to ‘Bob Brown’ it. The HDESA clutch pressure plate. Tri-colours look awesome, paint was by Brian at Custom Colour. Magee and Bayliss at BBB. Neat billet CNC machined rearsets. Keihin 41mm FCR carbies with accelerator pumps. 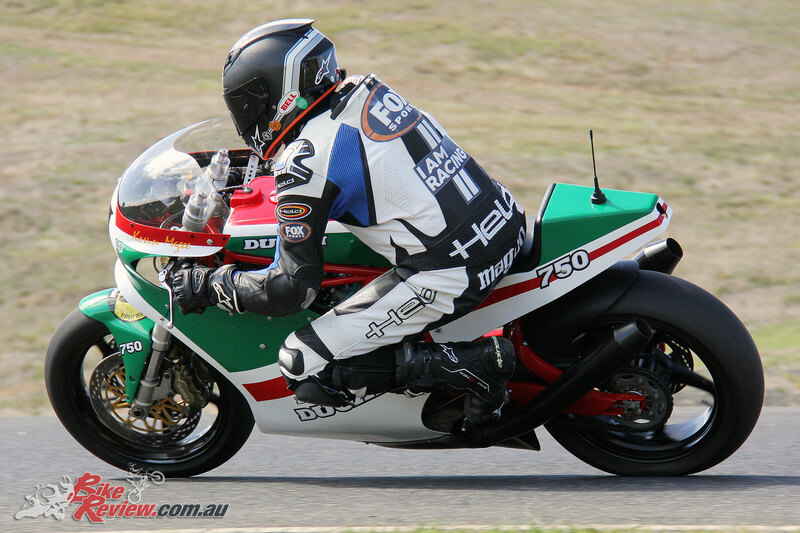 Bob Brown with the MY17 TT2 SuperSport.